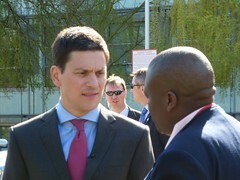 I heard David Miliband speak about his vision for opposition 18 months ago. He was passionate about his vision for improving others’ lives whilst his political party – Labour – was in Opposition. It seems like a sensible move for him to now find a way to do just that -improving lives – this time on a much larger stage, as chief executive of the International Rescue Committee, based in the United States. It is odd that identifying this fulfilling goal, and pursuing it, is being characterised by some media outlets as a failure. Being the United Kingdom’s Foreign Secretary; an Opposition Leadership contender; and then CEO of a humanitarian organisation in New York sounds like the content of a successful CV to me. Perhaps some media commentators are being too tribal about the man.